With the Isle of Wight festival now a distant memory and Glastonbury looming on the horizon, we have officially entered Festival Season. While I’m a firm believer in not wearing wellies unless the weather dictates, the weather does often dictate, so it’s a good idea to bring a sturdy waterproof boot with you to tackle the rain and the mud. There’s absolutely no reason why those boots shouldn’t be stylish though; there are so many brilliant wellies out there to choose from, and they don’t all look like you might expect. Here are a few of my favourites. If you’re expecting dry, warm weather at your festival, you don’t want to take up valuable packing space with your wellies. That’s why these from a little brand called Butterfly Twists are so good. 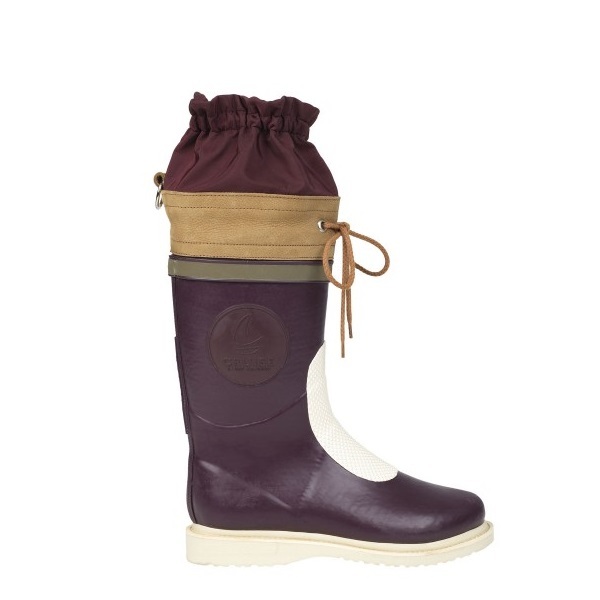 They actually specialise in foldable ballet pumps, but they also do foldable Wellington boots. Absolutely perfect for slinging in the bottom of your rucksack in case of emergencies. They’re really nice too – available in five different colours. I always think it’s weird to go to a one day festival in the city and get all dressed up as if you’re going to be spending a week camping in a field. That’s why I love the shorter versions of Wellington boots – I call them Anklingtons – as they look much more appropriate in an urban environment. 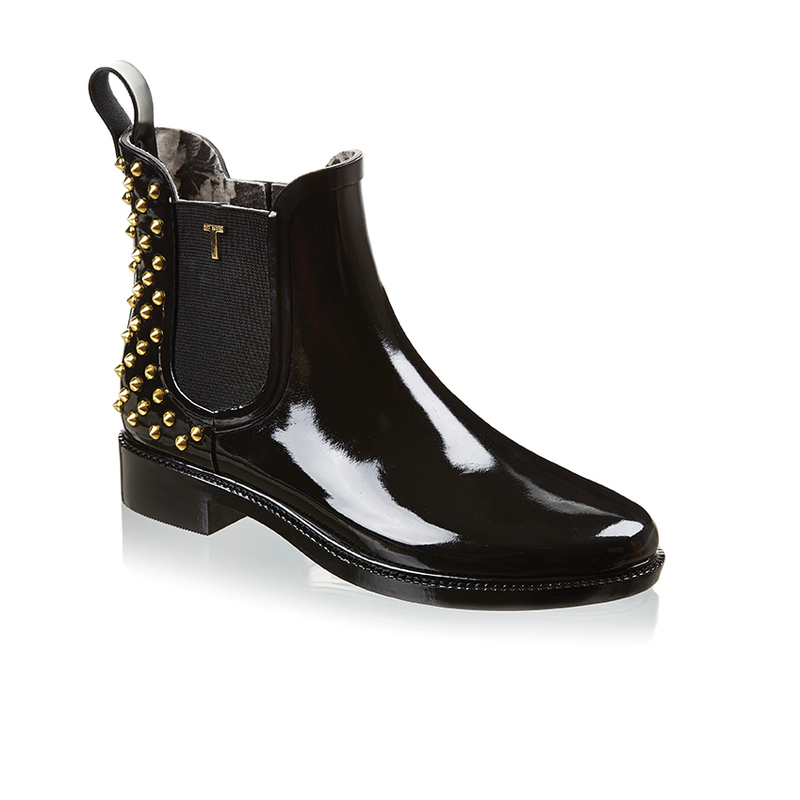 These ones from Ted Baker are cool, and have a bit of a rock and roll vibe about them. 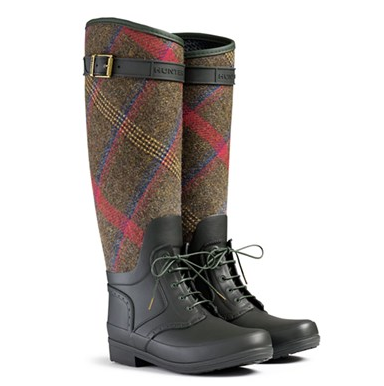 I am IN LOVE with these wellies. They are by Ilse Jacobsen, a brand that always makes beautifully designed boots that actually make you wish for rain (check out the lace-up ones, too). The white sole on this pair is what makes them look particularly cool, and they’re technically high spec too – you won’t get soggy socks in these beauties. 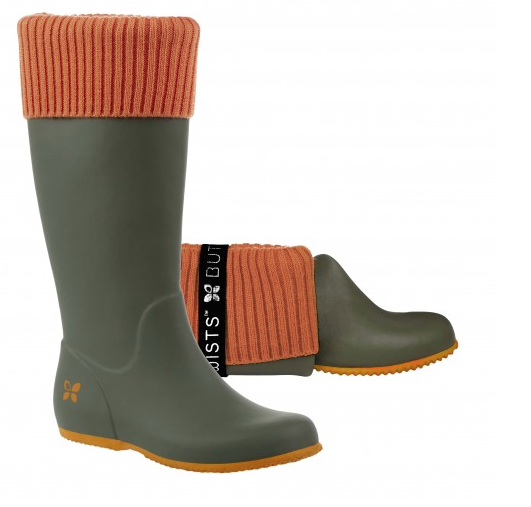 Maybe you’re favouring a literally or food festival this summer, but that doesn’t mean you won’t need your wellies. This handsome pair look like the thinking woman’s wellies if you ask me. Hunter has SO MANY designs on its website, you will be absolutely spoilt for choice. 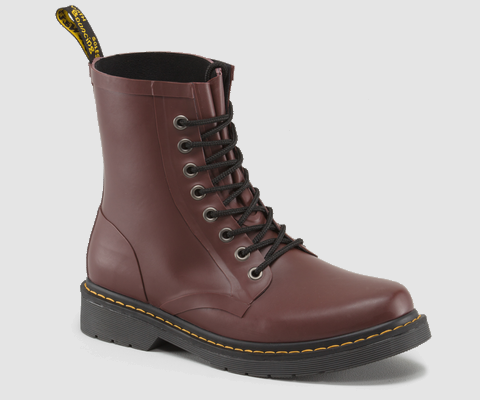 How amazing are these Dr Martens?! They look exactly like a normal pair of cherry reds, but they are made of rubber. Completely waterproof but without the look of a wellie. They come in loads of different colours, and you can get taller boots as well if it looks like it’s going to be a quagmire at the festival.